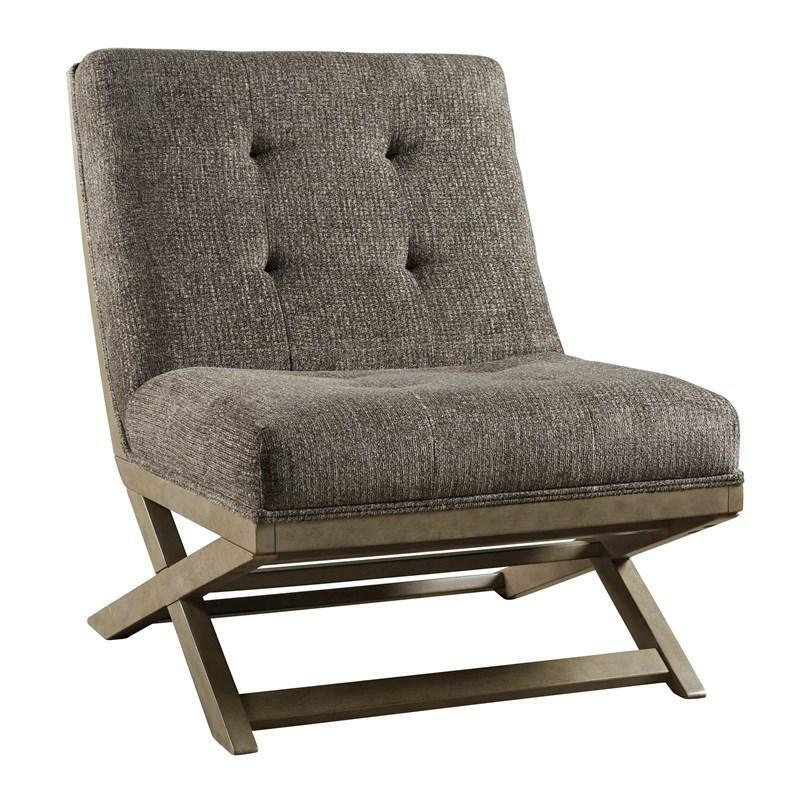 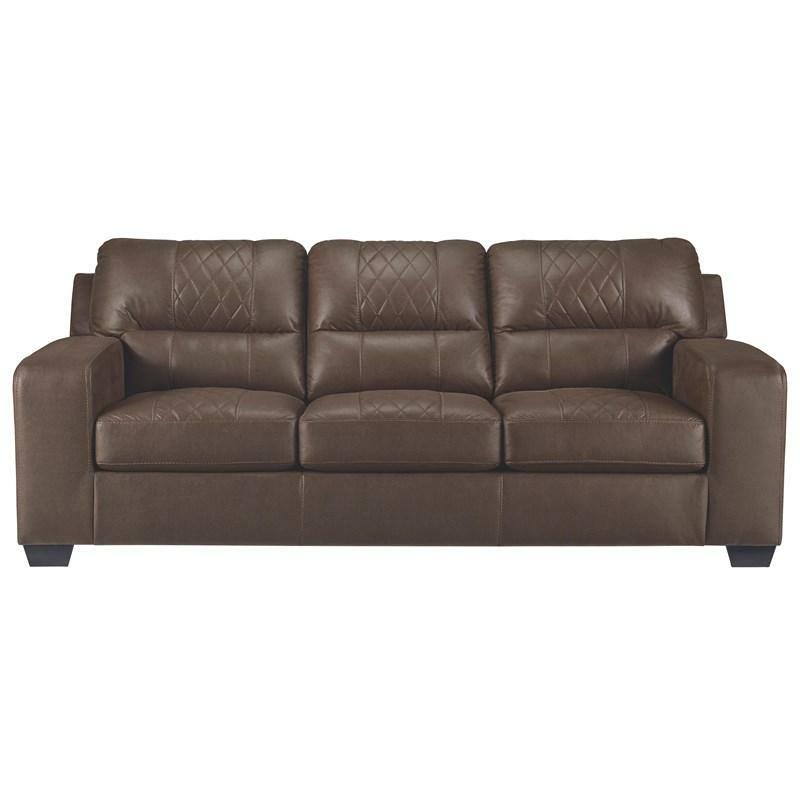 The Oberson reclining sofa by Ashley Signature Design has a rich rustic look with its thick rolled arms beautifully adorned with decorative nail head accents. 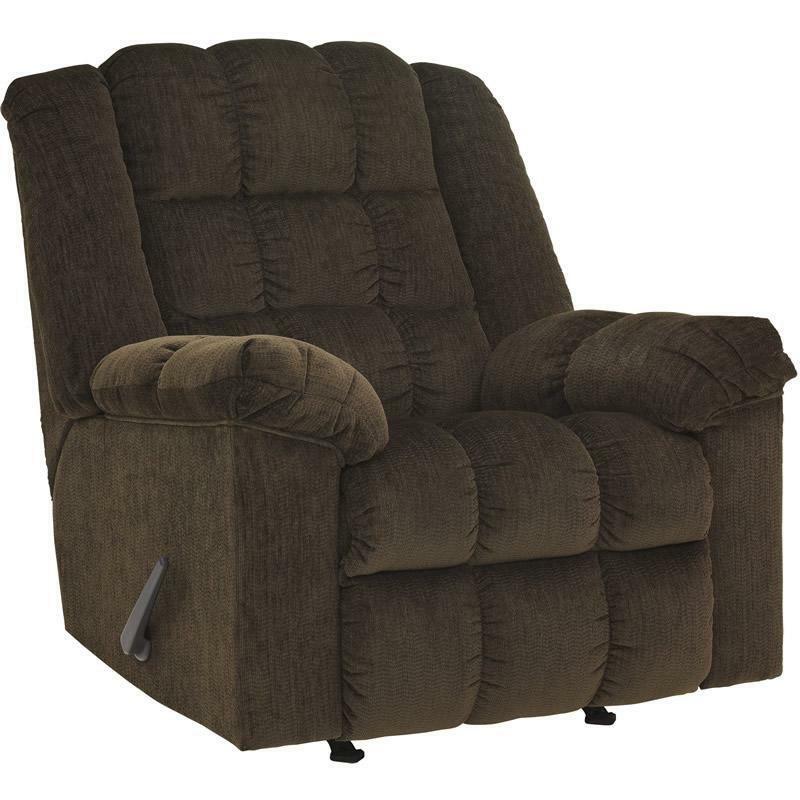 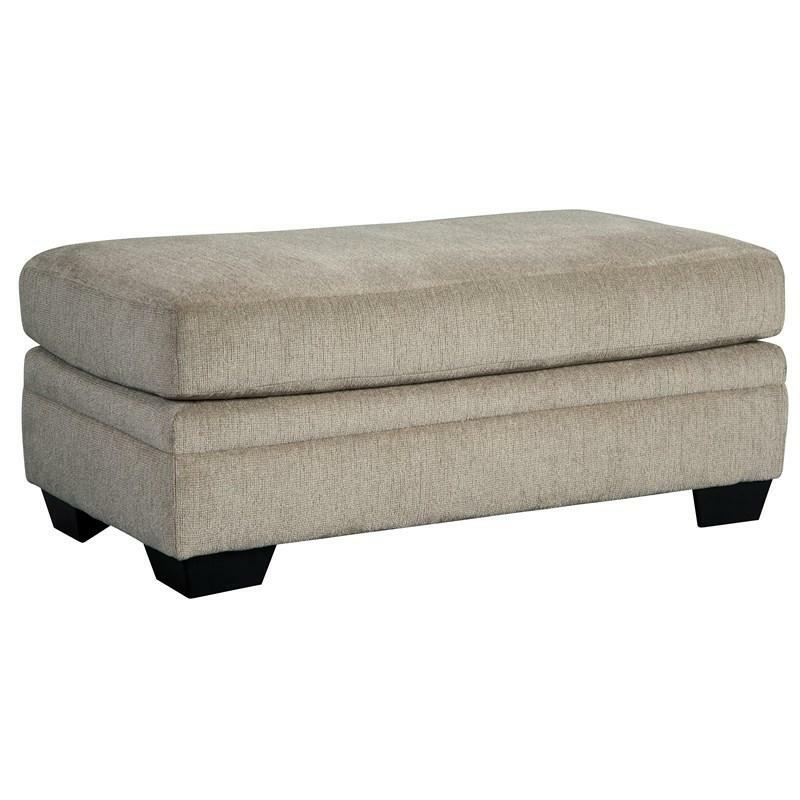 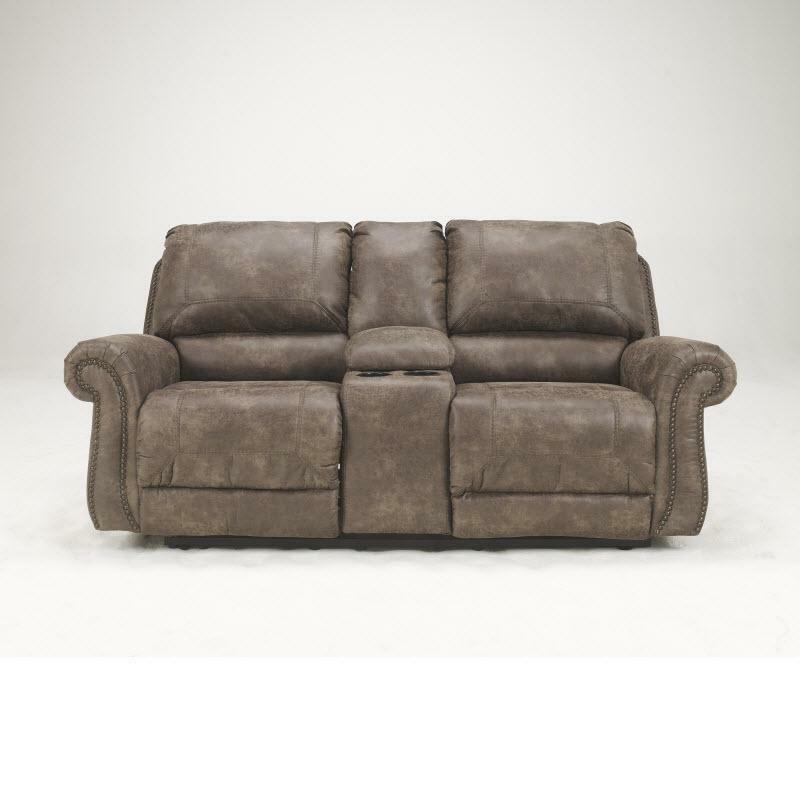 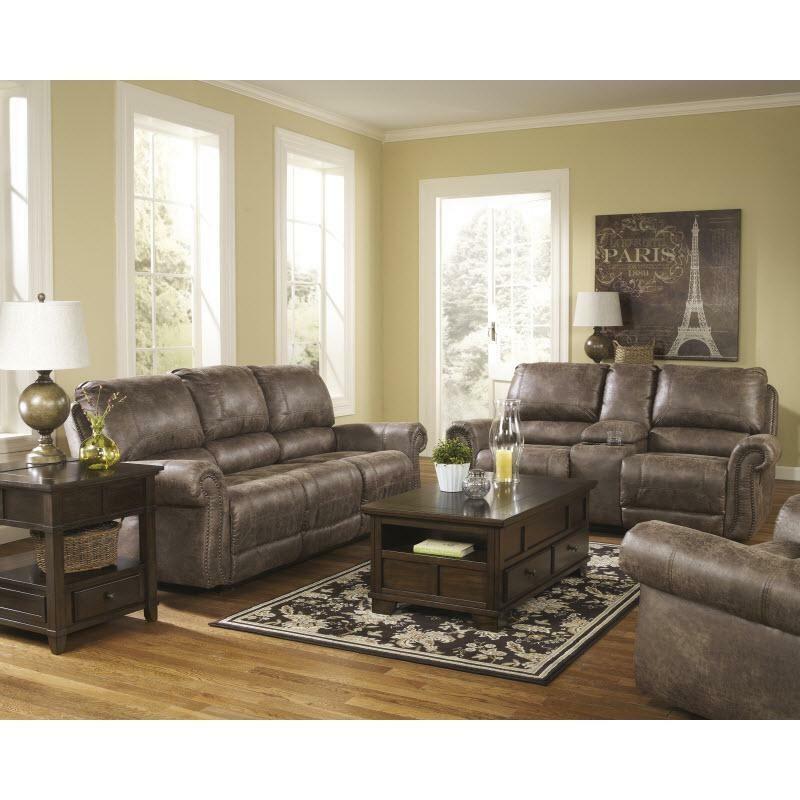 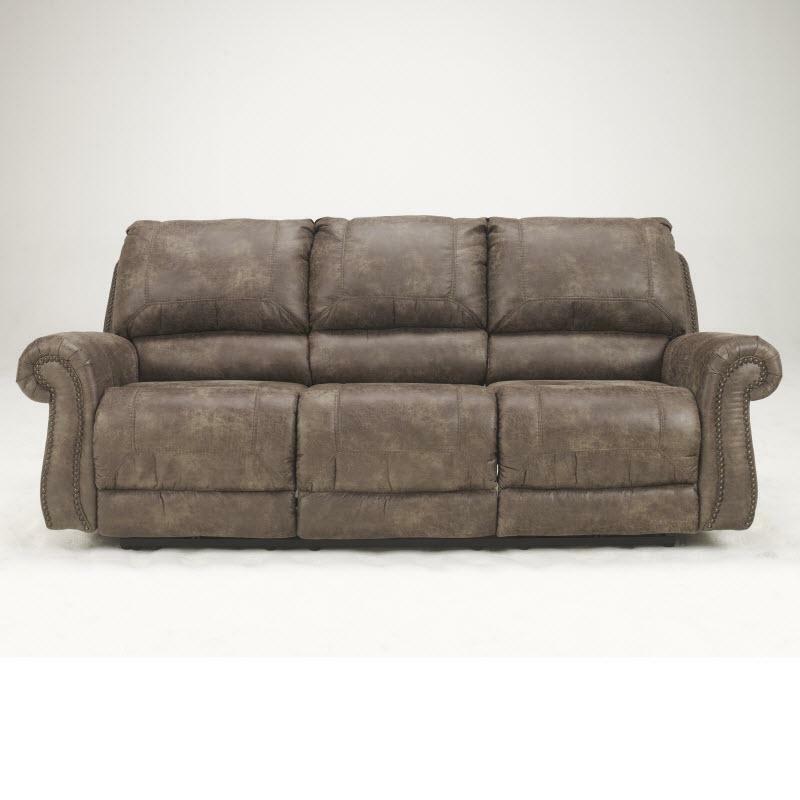 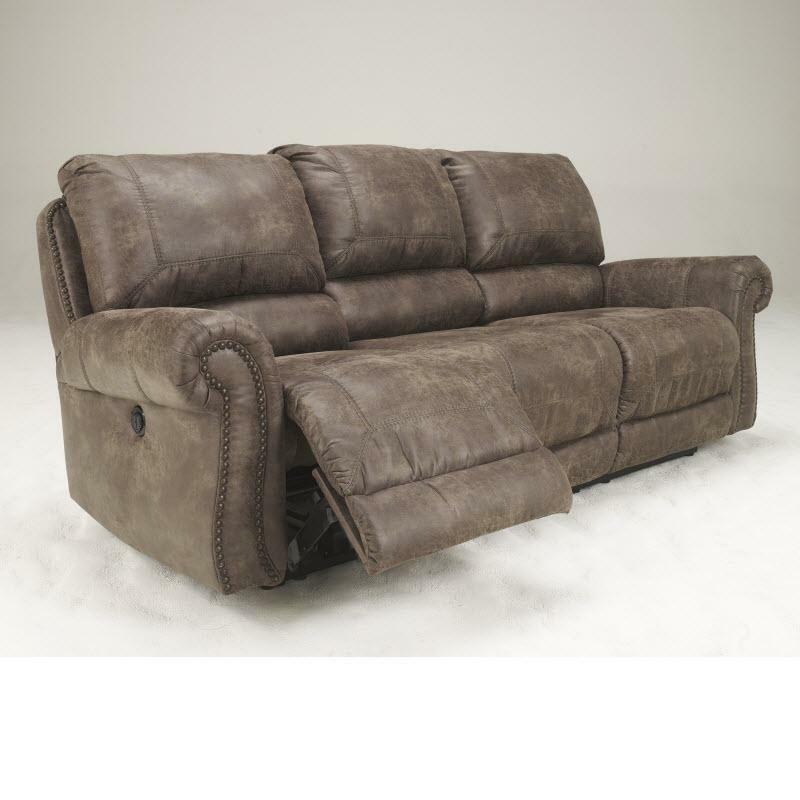 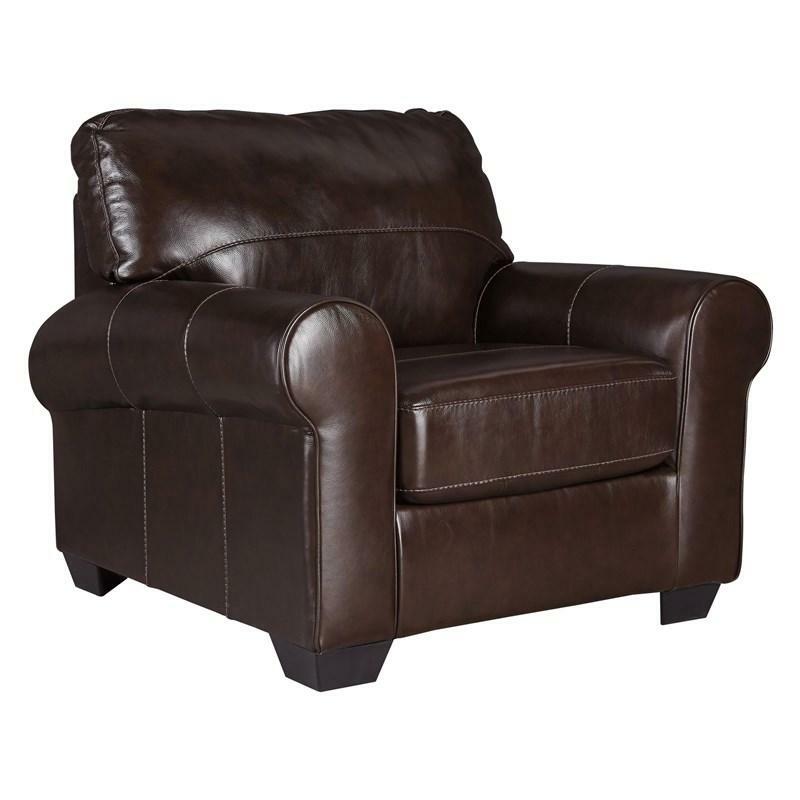 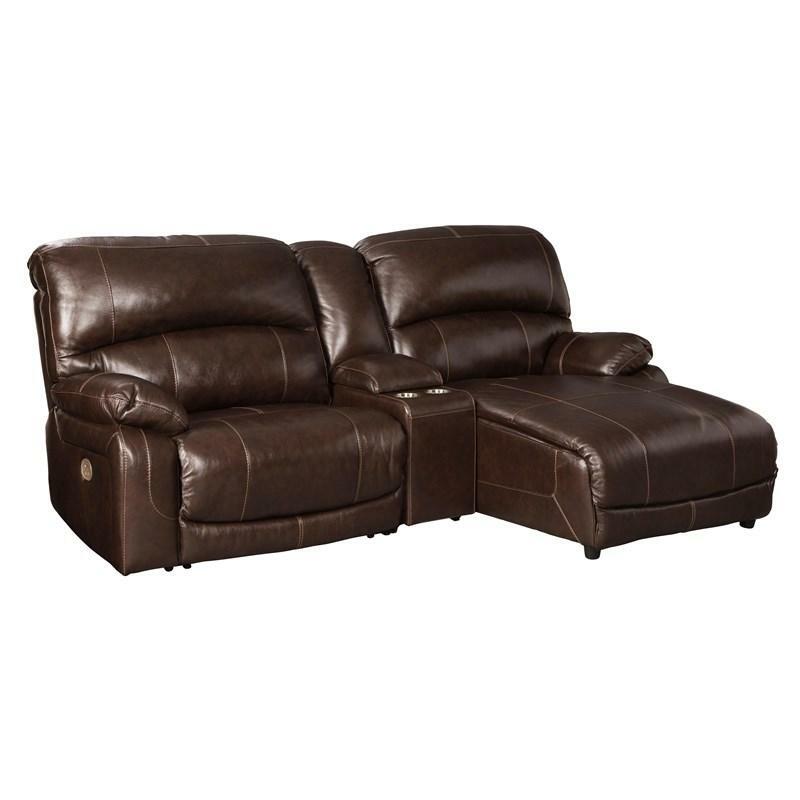 It also features comfortable plush divided backs which will make this reclining sofa the perfect addition to any home. 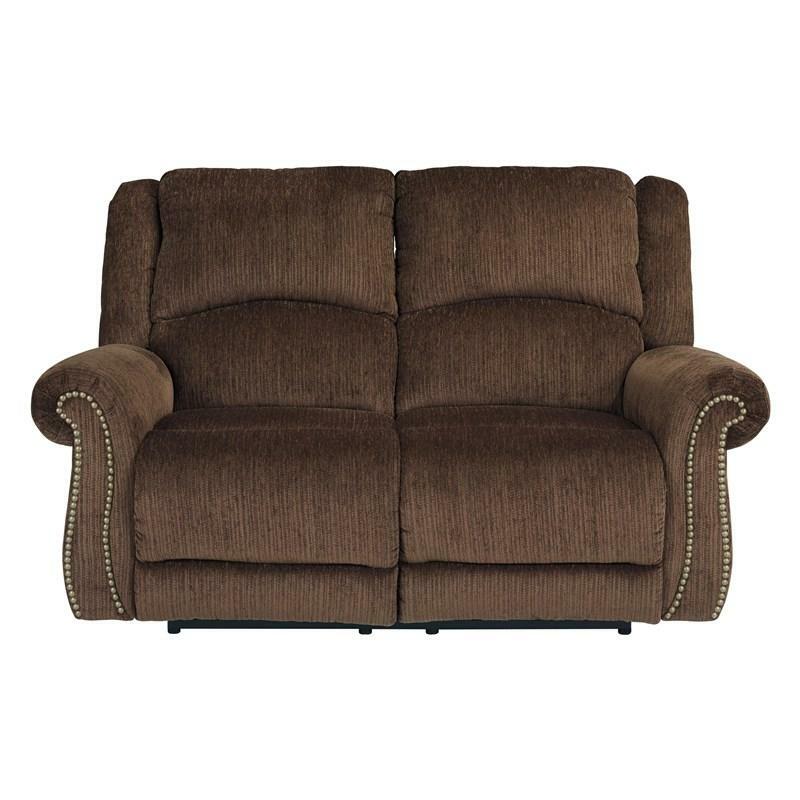 Additional Information • Distance between arms 70"